Future of football in Austria looks bright. The national youth teams have been playing with better and better results, and there are plenty of talented players in the Austrian Football Bundesliga. One of them is Marko Kvasina. 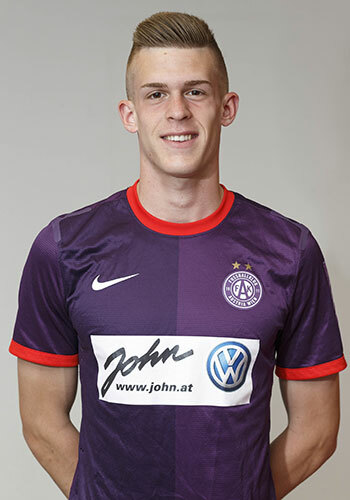 He made his professional debut for Austria Wien on 22 November 2014 in a league fixture against Admira Wacker Mödling, in which he replaced Mario Leitgeb after 77 minutes. In 2013 he has participated at the FIFA U-17 World Cup in the United Arab Emirates. Currently he is one of the biggest stars in the Austria U-19 national team battling for qualification to UEFA European Under-19 championship. In the first qualifying round, the Austrians have won all 3 of their games, including the 5-1 blowout victory against Germany, and the MVP of that game was Marko, who scored 2 goals and made an assist.